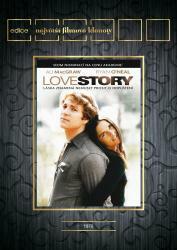 Drama/Romance, USA, 1970, 99 min. Synopsis Harvard Law student Oliver Barrett IV and music student Jennifer Cavilleri share a chemistry they cannot deny - and a love they cannot ignore. Despite their opposite backgrounds, the young couple put their hearts on the line for each other. When they marry, Oliver's wealthy father threatens to disown him. Jenny tries to reconcile the Barrett men, but to no avail. Oliver and Jenny continue to build their life together. Relying only on each other, they believe love can fix anything. But fate has other plans. Soon, what began as a brutally honest friendship becomes the love story of their lives.